SKU: YS1224. Categories: Corrugated Plastic Yard Signs, Union Made, Yard Signs. 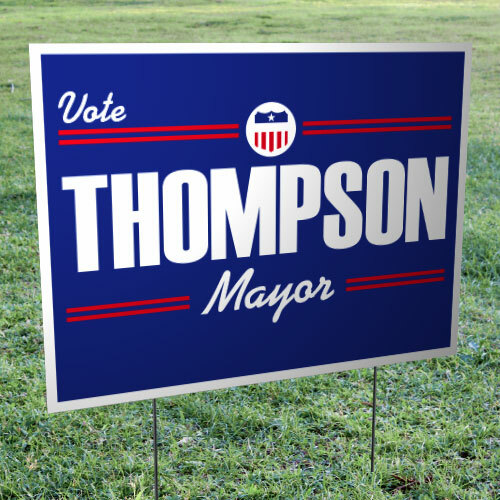 Political yard signs, double-sided, in corrugated plastic with step stakes are affordable and long-lasting campaign materials. Signs are made of Coroplast®, a lightweight but very durable material. Easy to use. Price includes frames. Not all frames are alike. Don’t mess with impossible-to-use plain stakes that poke out at the top. There is no time for headaches like that. 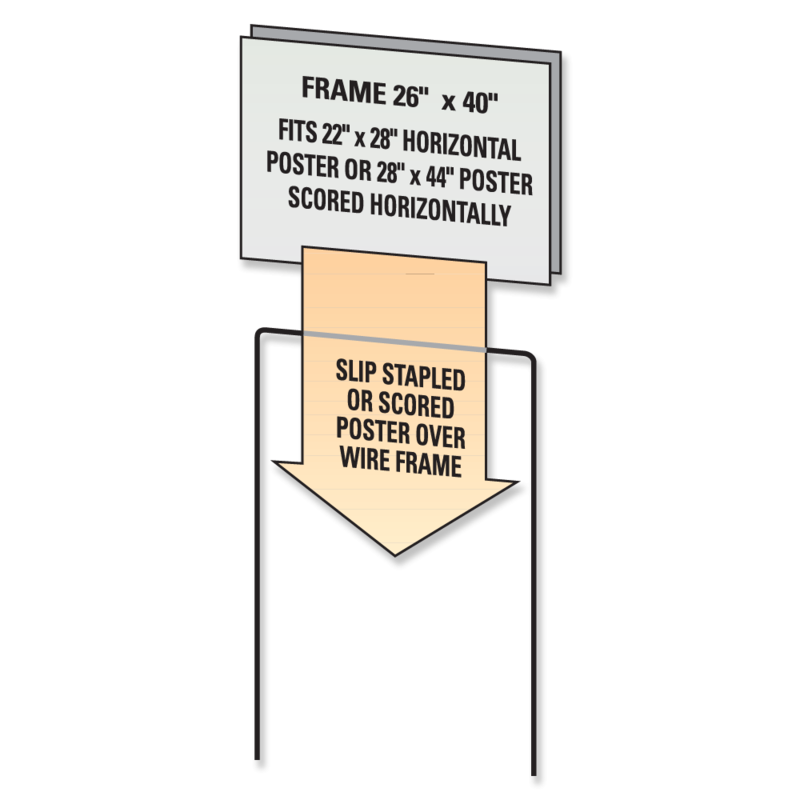 With step or “H” stakes, your campaign will have no problems putting out your election yard signs.